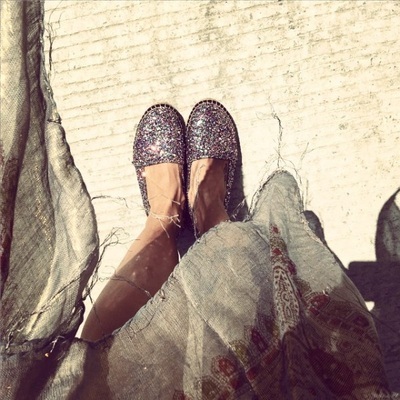 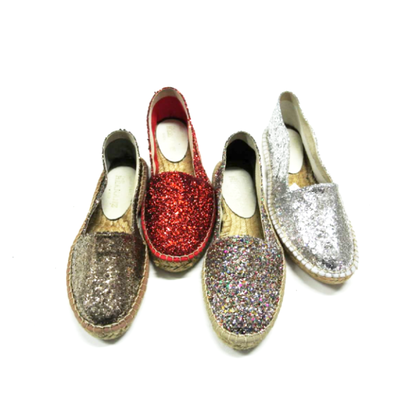 Get a little glitzy in flats. 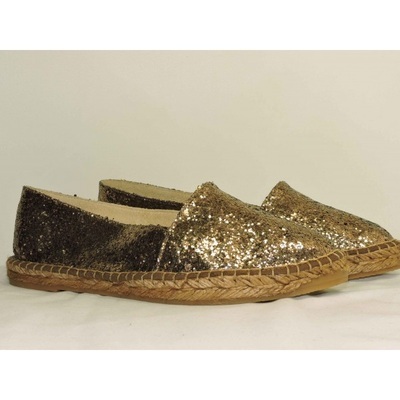 This classic espadrille sports a glittery finish that will brighten any day of the week. 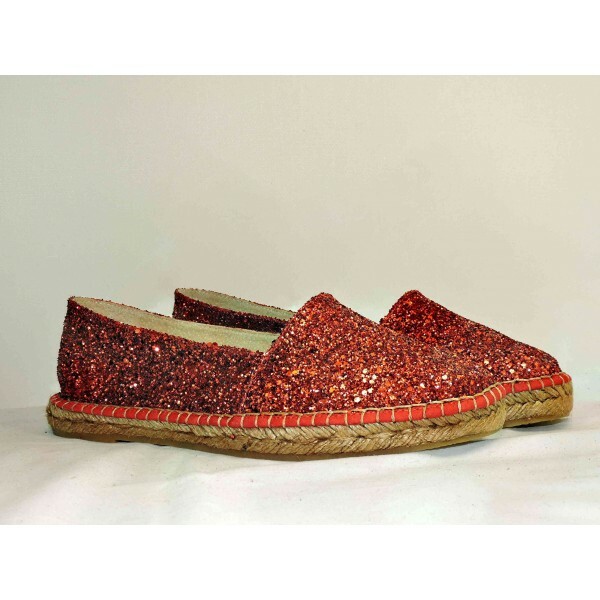 Silver, Cooper, Red, Multicolour or Black Glitter closed toe Espadrille handsewn by CASA HERNANZ, Madrid's more famous institution. Even the King reputedly buy his espadrilles here.